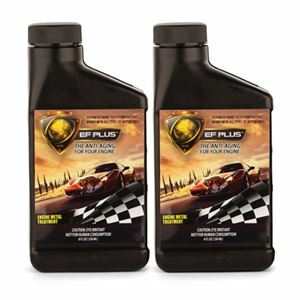 EF-PLUS™ formula contains 100% organic, mineral anti-friction compounds that never break down. It’s 100% safe for any of the engine components. It does not contain solids, nor will it reformulate the chemical components of your standard motor oil. It will blend perfectly with any of the motor oils (whether synthetic or conventional). Includes 2 bottles - 8 oz. each.